Next batch of corporate results, movement of rupee against the US dollar, oil prices, stock-specific action and global peers are also expected to influence domestic equities today. Worries over global economic slowdown after the European Commission on Thursday sharply cut its forecasts for euro zone economic growth in 2019 and 2020 are likely to have a bearing on the investor sentiment on Friday. 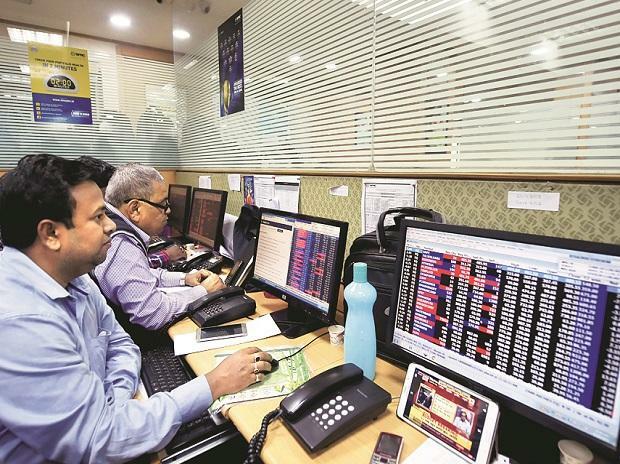 Moreover, next batch of corporate results, movement of rupee against the US dollar, oil prices, stock-specific action and global peers are also expected to influence domestic equities today. Over 225 companies including BPCL, GSPL, Gujarat Gas, Greenply Industries, Excel Crop Care, Indian Energy Exchange (IEX), Inox Wind, JK Lakshmi Cement, Jaiprakash Associates, Mhindra & Mahindra, Dr Lal PathLabs, NHPC, NDTV, Nalco, Rupa, Sun TV and UCO Bank. The rupee Thursday appreciated by 11 paise to close at 71.45 against the US dollar after the Reserve Bank of India cut the repo rate and changed its policy stance to 'neutral'. At 07:18 am, Nifty futures on Singapore Exchange (SGX) traded 35.50 points or 0.32 per cent lower at 11,059.50, indicating a weak opening for the Nifty50 index back home. Asian stocks slipped on Friday as investors fretted about a broadening global economic slowdown, with sentiment not helped by the absence of any positive signs for a resolution in the US-China trade row. MSCI’s broadest index of Asia-Pacific shares outside Japan shed 0.3 per cent while Japan’s Nikkei fell 1.2 per cent. In the overnight trade, US stocks ended with sharp losses. The Dow Jones fell 0.86 per cent, to 25,171.83, the S&P 500 lost 0.93 per cent and the Nasdaq Composite dropped 1.18 per cent, to 7,288.35.